Get Zen at the Juice Spot! Literally, Get Zen, it’s the smoothie I had on my first visit to The Juice Spot. 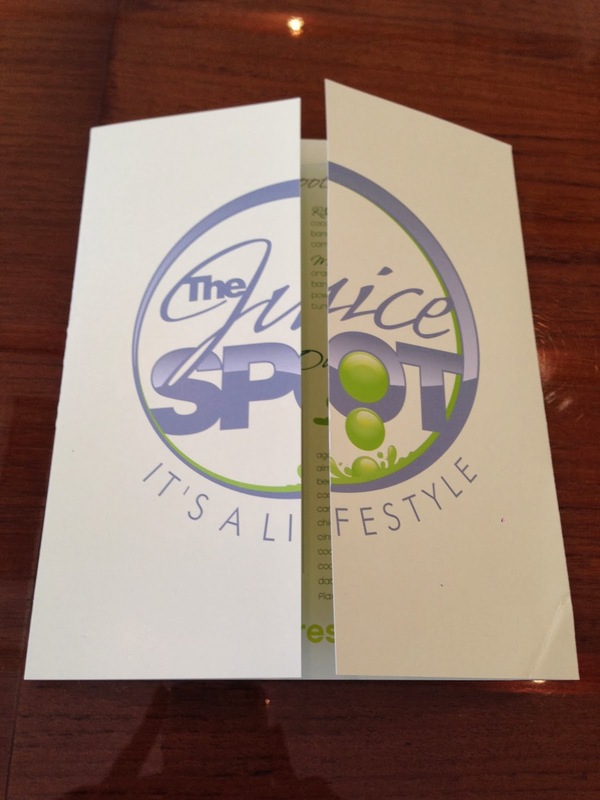 The Juice Spot is Miami’s first organic cold pressed juice and wifi bar opened by Savannah James, Lebron James’ wife. She and her business partner/personal trainer, David Alexander, created the recipes for the menu after sampling and researching a multitude of recipes and visiting juice bars around the country. Her new venture is definitely getting a lot of attention in Miami with Heat players grabbing their juices there as well as other local celebrities stopping in for a post-workout recovery. So I had to see what all the buzz was about! The environment has a cool, relaxed and slightly tech-y feel with iPads available for customers to use while sipping their favorite juices. The staff was very nice and attentive and will definitely help you if you can’t choose what to drink. I noticed a large mural on the wall, painted by San Francisco muralist Ian Ross, that added an original and unique touch. 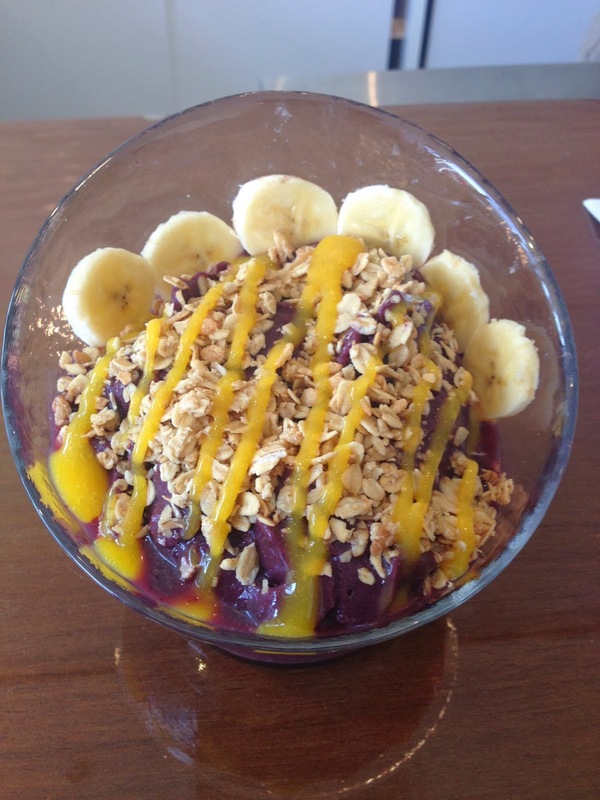 Now on to the menu…They offer juices, only a few smoothies and two food options which include the acai bowl as well as an oatmeal bowl. 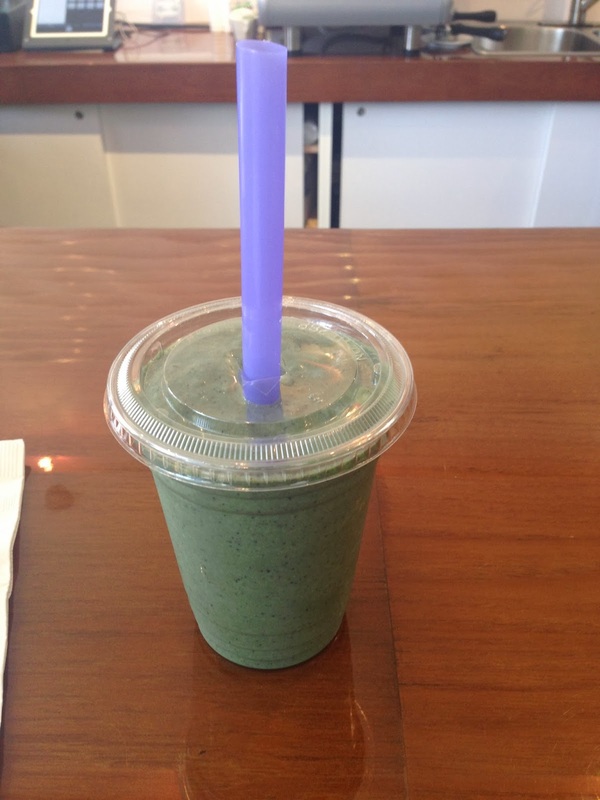 The Get Zen smoothie was delicious and what was even better it didn’t have any added sugar. 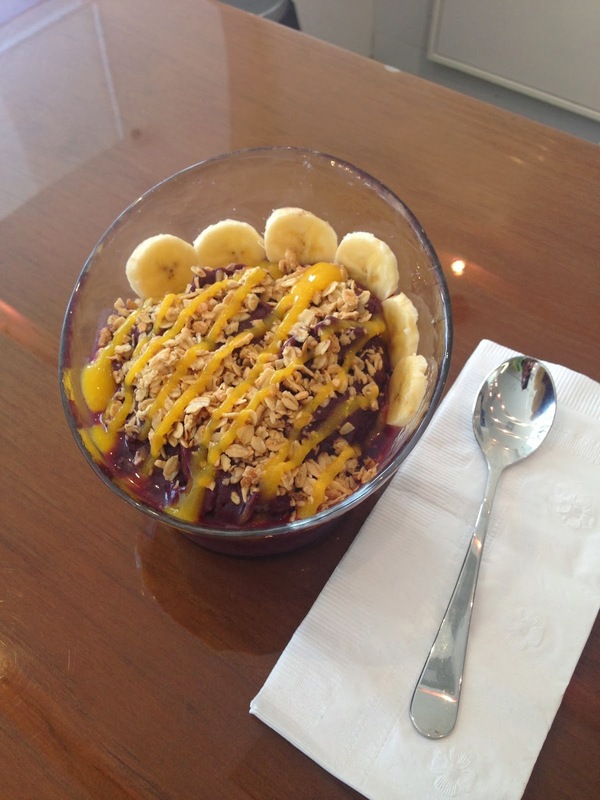 The acai bowl as well was very good, with oats and slices of banana on top. However, I do caution, the prices are a little surprising. The Get Zen smoothie is $9 but scanning the menu I found it was probably one of the cheaper options, some of the juices were $10 and over!